The prime objectives of study was to assess the impact of 1-MCP on ripening changes (physical, physiological and biochemi - cal) in plum fruits during storage at different storage temperatures (2C, 15 C and 20C). European plum (cv. Hausz - wetschge) fruits were treated with 0.5 μll -1 1-MCP and 100 ppm ethylene, alone or in combination (i.e. 1-MCP+ethylene) at 2C for 24 h. After every 15 days interval (i.e. 15, 30, 45, 60 days at 2C) fruits were transferred to 20C for 6 days. At both the storage temperatures, 1-MCP treated European plum fruits exhibited lower physiological loss in weight, retained better firmness and higher L values (brightness), b* values (blue-yellow axis), showed minimum change in total soluble solids, sucrose, glucose and fructose as compared to other treatments and untreated fruits. Fruits lost nearly 16% of their physiological weight during 56 days of storage at 2C and more than 30% of their weight by end of storage period of 60 days at 2C plus 6 days at 20C. At molecular level, PPO activity was lowest (3.01 units g -1 min -1 ) in 1-MCP treated fruits and also lower activities of PG and PME enzymes. Fruits treated with 1-MCP have lowest carbon dioxide (3.140.98 ml kg -1 h -1 ) and ethylene (17.59 μl kg -1 h -1 ) production rates as compared to other treatments. Japanese plum (cv. Santa Rosa) treated with 1-MCP (0.5μll -1 ) and stored at 15C for 9 days showed lower weight loss, decay loss and higher specific gravity, higher total soluble solids, acidity, ascorbic acid content as compared to control fruits. 1-MCP treated fruits had longer shelf life as compared to untreated control fruits. The study has shown that 1-MCP has the potential to control the ripening of plum fruit and extending the storage period by more than 15 days at 2C and by approximately 5 days at 15C. 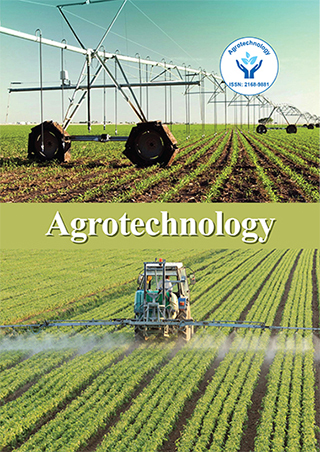 Neeraj has completed his Ph.D. from CCS Haryana Agricultural University in Horticulture Science with specialization in postharvest management and worked as DAAD Research Fellow in Institute fuer Gartenbauwissenschaft , Bonn University, Germany. He is working as Assistant Professor in National Institute of Food Technology Entrepreneurship and Management.